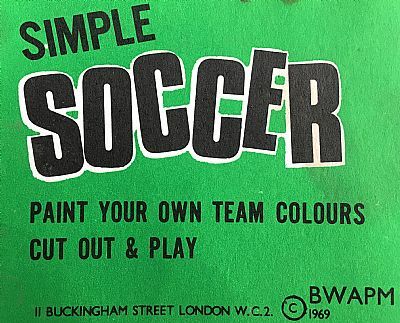 A very simple card printed game from 1969. 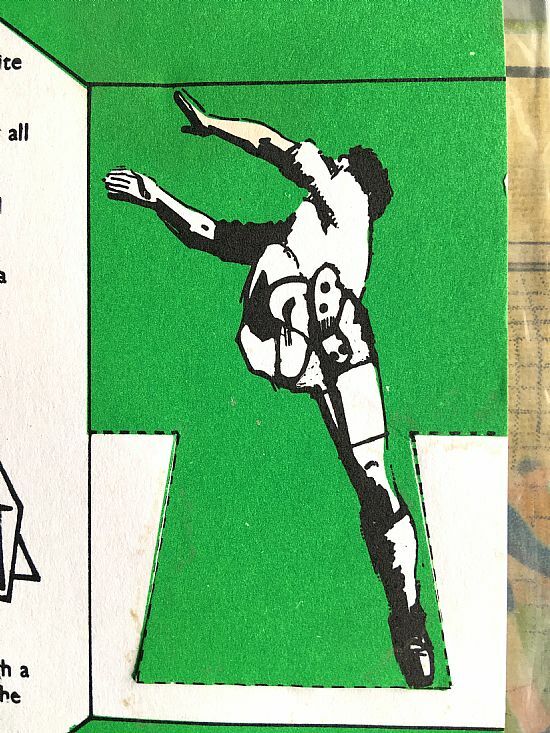 Probably had straws and a ball in the ball originally. You needed to buy two in order to get two teams. 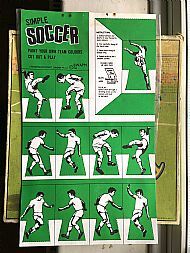 Complete with cut out goals. 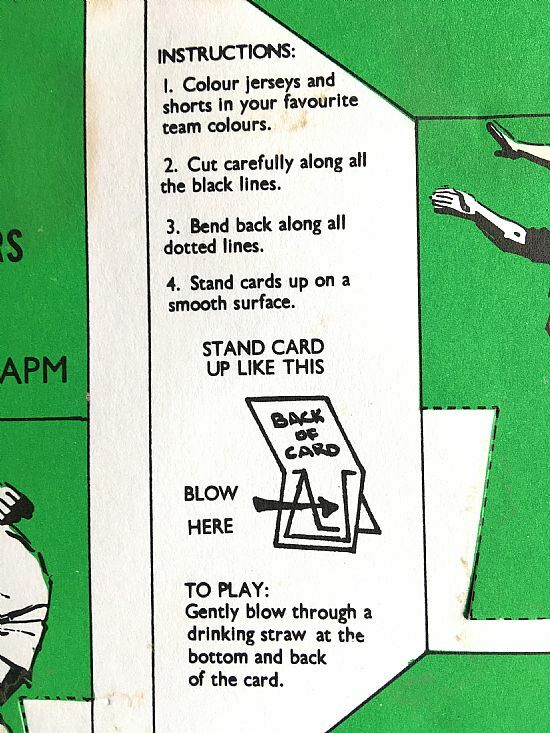 A very simply produced card game of blow football. 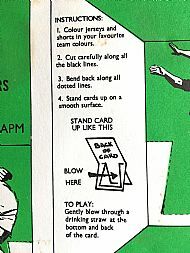 Easy peasy - colour-in, cut out and fold. 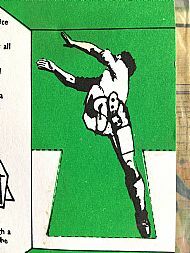 Even in a cheaply produced blow football game the keeper can't help showboating!